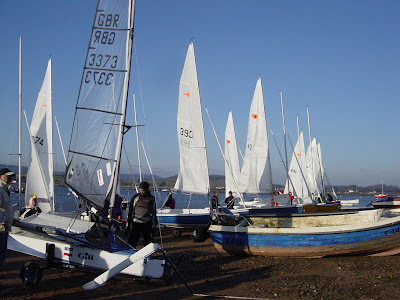 I took the Moth down to join in the Exe Sailing Club Boxing Day race. It was a pursuit race but with mainly Comet Trios - about 20 of them. I didn't bother with a start at the correct time, I was more interested in just having a sail around. I haven't raced here since my Cadet sailing days many years ago... 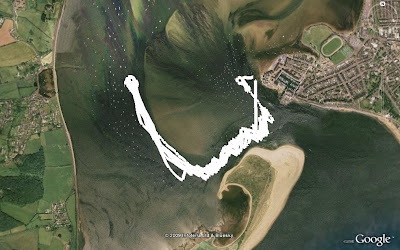 So I wasn't quite so sure where the sand banks were (Hence taking the old boat!). Fortunately the Trio was no match for the Moth - although close tacking up the bank in marginal foiling conditions they may have had an edge! With a max of 17.7 knots I might have broken the harbour speed limit of 10k slightly though! Not bad for a Boxing day club fleet! 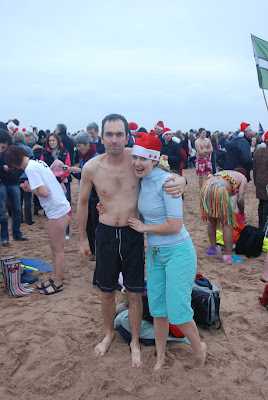 I should know by now not to listen to my sister... She thought it was a good idea to join in with the Exmouth Christmas Day swim. 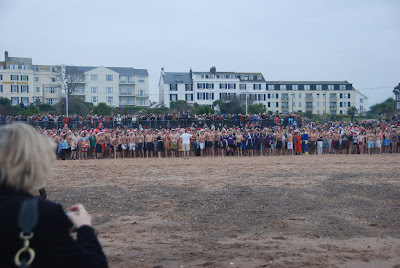 Hundreds of people meet up on Exmouth seafront for a very quick swim on Christmas morning watched by thousands along the seafront. 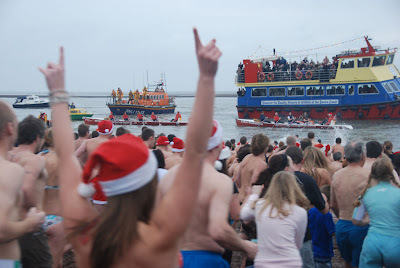 Oh my god it was cold this year! In other festive news, if you happen to be watching Emmerdale on Christmas day watch out for the Pringles advert at 6:15. My cousin Sally entered a competition recently to come up with a jingle for a Christmas pringles ad, and she won! Below is the entry they sent in. Not sure what gets aired, but all quite funny. This weekend Mike Cooke braved the floods and the cold to come down and join Alex, Helen and myself for a bit of sailing in Weymouth. 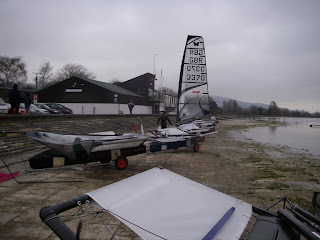 Saturday was too light for Mothing, so there was plenty of tea drinking, and a bit of light wind Mini40 foiler practice. 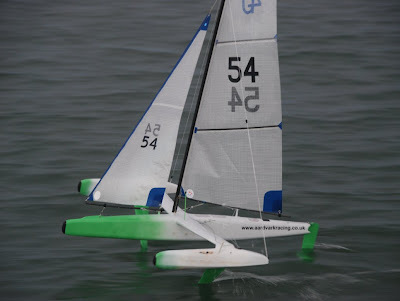 Although it was light, and not enough wind to foil, Mike's latest creation impressed us all. It was on Sunday however that it reallly flew! 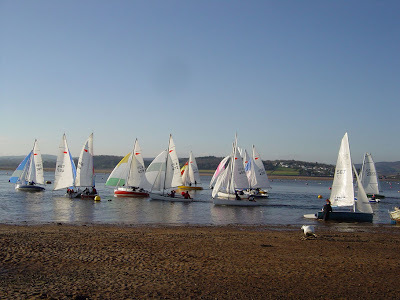 We'd had a good Moth sail in the morning in 15/18 knots of breeze. We joined in the start of the Castle Cove club race and then just did some tuning runs up and down the harbour. After warming up again over more tea, we decided that it had dropped sufficiently for the Mini40 to go for some airtime. 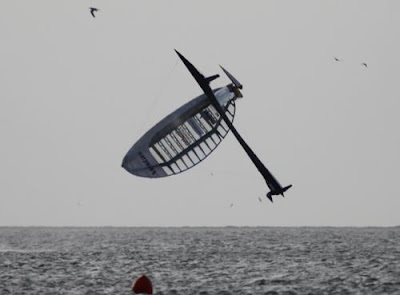 After a few early hops and some crashes that at full scale on Hydroptere would have easily seen them claim best boat crash over Paul Larsen! we started to see some impressive bursts of speed. 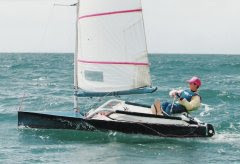 After a bit of practice there we sustained foiling runs and several foiling gybes. 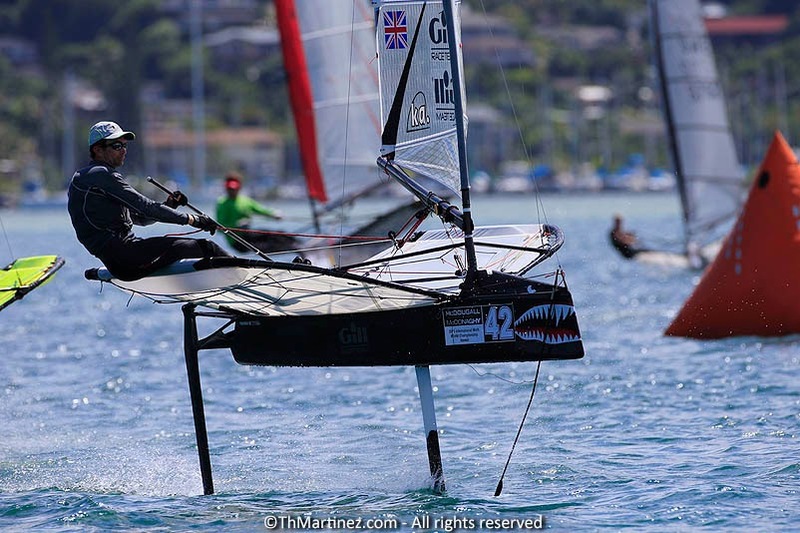 It was good to see the Moth helming instincts coming into play many times to same some crashes that looked pretty terminal. I'll add more pics later..
Today's blog from Paul Larson down in Namibia is an essential read! SailRocket literally flew in her last record attempt run! Paul was fine, but the wing was badly beaten up. In only the run before they possibly bagged themselves a World Speed record, so will be interesting to hear about the data off the boat. 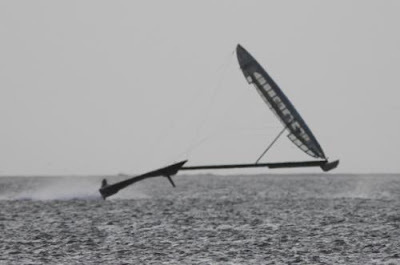 Hats off to Paul and his team, this brings it home what pioneering stuff trying to break World Sailing Speed records is. OK so there has been a bit of a delay, apologies there, but here is the hotly anticipated next edition of Pimp My Low Rider! She has undergone a bit of work fairing the hull up. 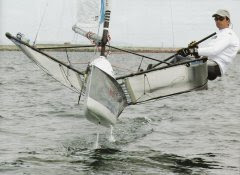 Fairing the hull is a great way of learning the importance of not using knees and elbows for climbing back on board after a capsize. Oops, will be more careful in future! Anyway she is now in her working colours of gunship grey undercoat. So the hull is cut to size and the daggerboard hole filled so it’s time for a a girls favourite activity - accessorising! First accessory is very exciting - the centreboard case - the moth equivalent of the handbag! 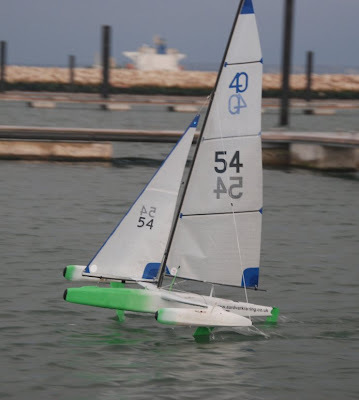 Modeled around the centreboard in a carbon and fibreglass sandwich to beef it up. Like all good handbags the centreboard has been made size adjustable - in this case to allow some adjustment in the centreboard angle rather than to fit that extra bargin purchase in. This was done by slitting the case down the middle, angling the top out and applying and extra layer of laminate in this position. Next accessory on the list is a little carbon insert for the gantry attachment - remember to drill it before sticking it in if you don’t have a fancy round the corner drill. 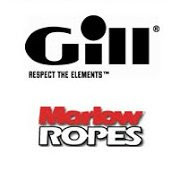 There we have it; the start of the low rider accessory collection, coming soon SHOES - oh, no, that was meant to be FOREDECK! 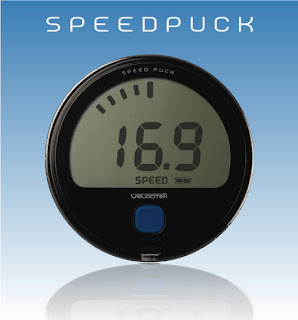 Velocitek have just launched a new gps and it looks good. A good size screen, speed, max speed & heading modes along with some good software. Visited the Bristol Moth Squadron on Saturday for a little get together of South West mothies. Unfortunately a Northerly at Bristol Corinthian is somewhat shifty! We all launched but we were unable to be very constructive, with huge wind holes all over the lake producing some entertaining shifts (much easier to see it as entertaining once ashore!). 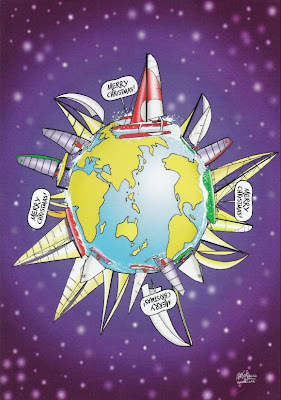 In other news I'm enjoying following constant reports from Namibia on the progress of Sailrocket's speed record attempts. I've quite a list of things I wanted to blog about but I'm being good and trying to get up to date with my IMCA duties. Measurement manual re-write going on at the moment, so better get back to that.